Despite a majority of Hong Kongers saying their work-life balance has worsened, looks like not much has been done to alleviate the situation. Two-thirds of Hong Kong professionals report want better work-life balance today. According to Regus’ report on flexible working, 67% of professionals in the city want better work-life balance and 61% believed flexibility is the key to improving employee work-life balance. The percentage of Hong Kongers demanding better work-life balance is higher than the global average of 61% and higher than in other Asian countries, including Mainland China, Japan, Indonesia, South Korea, Thailand, and Vietnam, with the exception of Singapore which stands at 70%. The findings prove that the demand for healthy work-life balance is proportionate to work pressures people undertake. 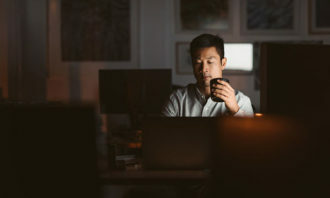 An earlier Regus’ “overtime work” research revealed 14% of Hong Kong professionals put in an extra 15 hours of overtime work a week, putting them among the world’s hardest workers. While commuting time in Hong Kong is considered short compared to most metropolitans, some 35% of Hong Kong respondents say they wish to work closer to home and 23% say that the need to combat the rising cost of commuting is a big reason to work closer to home. Globally 48% workers think the freedom to work flexibly and be closer to home is able to drive up the frequency of flexible working. It is not only workers that benefit from flexible working. As the survey shows, nearly half (44%) of businesses globally are moving towards flexible working in order to become more agile and better able to respond to market changes. Flexible working allows firms to expand or retract rapidly and without incurring hefty penalties. Firms using flexible working are also better placed to attract talent from a wider pool, especially if they comply with best-practice employee flexibility standards. 29% of firms in Hong Kong wish to comply with best practice employee flexibility standards, which is almost same rate as the global average (31%). 33% of Hong Kong business want to attract staff from a wider talent pool, are also driving the take up of flexible working, which is slightly higher than the global average (29%). For local employers,there is an extra motivation to introduce flexible working arrangement- saving cost on office space. Facing sky rocketing office rents, 22% of Hong Kong business agreed that giving employees the opportunity to work closer to home helps tackle the issue of leasehold under-occupancy, according to the report. Businesses are able to reduce fixed office space costs when these are underused. The global average is 17%. “This research confirms that flexible working boosts efficiency and cuts costs. 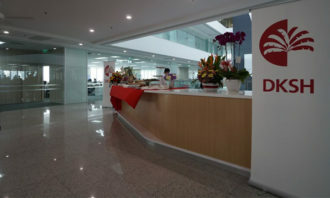 Businesses can reduce underused office space and operate in a more agile way, making decisions on a per-needs basis,” said John Wright, Chief Executive Office of Regus Asia-Pacific. “While the drivers for flexible working may differ for businesses and employees, both stand to gain. The fact that businesses are already benefitting from flexible working to increase theircommuting time is good news. In addition, helping employees to find a more satisfying balance between their personal and professional lives creates a healthier and more productive workforce,” Wright added. The research heard from more than 44,000 business people from more than 100 different countries, including 349 business professionals in Hong Kong. 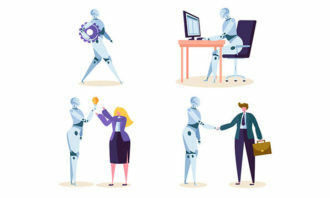 But the question now is - exactly how many employees would be comfortable with reporting to a robot instead of a human boss?.. With healthcare costs in Singapore expected to rise to $13 billion in 2020, Dr. Elton Ong, MD of Fullerton Healthcare, offers solu..